When you pack for a holiday, do you pack light or do you take a belt-and-braces approach and pack everything but the kitchen sink? 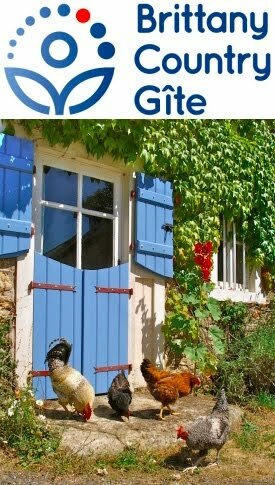 Richard and Leigh arrived the other week in their very authentic (for rural France, that is) Citroën C15 van for their third stay in our holiday cottage. They win this year’s award for the strangest thing to bring on holiday (please imagine drums rolling for full theatrical effect): a reupholstered chair. 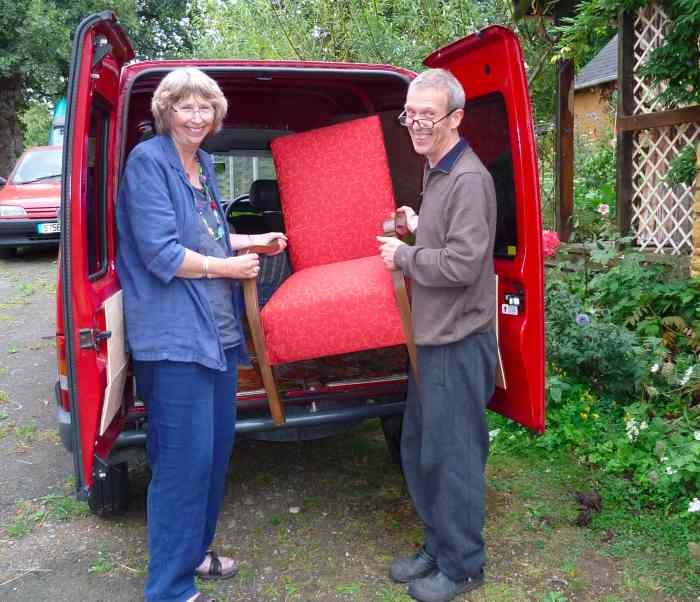 I’ve previously explained how I came by this venerable yet tired wooden armchair for a fiver and how Richard offered to restore its dignity, taking it away with them in the same loyal van last summer. He’s emailed me photos to show me the progress of his skilful work, including a recent one showing the finished article in his workshop. 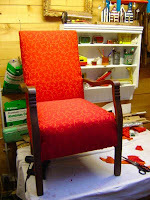 The work is immaculate, the chair regal and the bill for materials a fraction of what it would have been to put it into a shop to have it done. Generous chap, he wouldn’t accept anything for his time, so we plied them both with good food and wine !